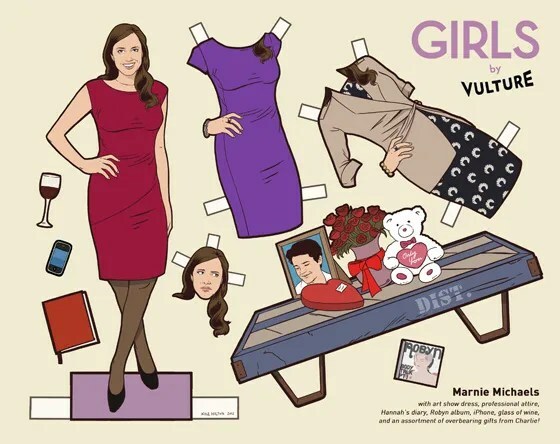 If ever a show was made to have paper dolls, it’s HBO’s Girls. 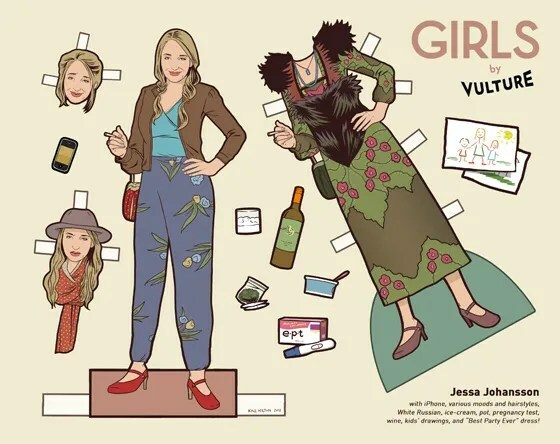 Well, ok a few others, sure… But Girls makes it fun and stylish and little odd. Jessa, complete with pregnancy test and bag o’weed! 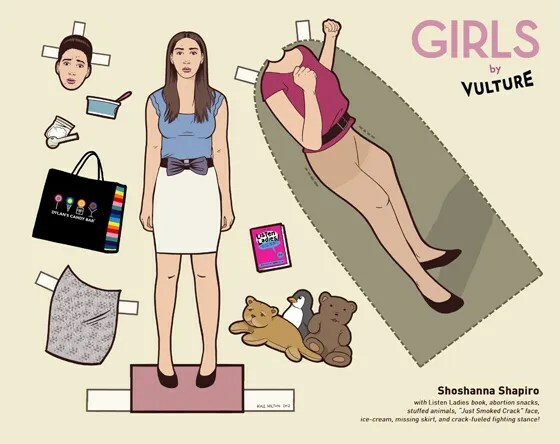 Shoshana – stuffed animals, frozen yogurt, and crack. Sounds right. Why does everyone have a cell phone except for Shoshana? And what, no shirtless Adam, Charlie with and without hair or Elijah with scarf? Tut tut. 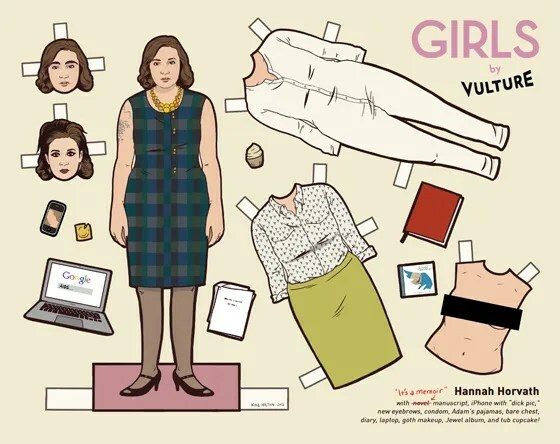 This entry was posted in TV, Web Funnies and tagged entertainment, Girls, HBO, Lena Dunham, New York Magazine, paper dolls, Vulture. Bookmark the permalink.